GBB has been a management consultant to the Northeast Maryland Waste Disposal Authority (NMWDA) since it began operations in November 1980. 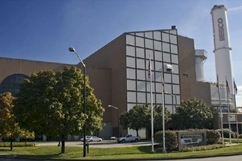 GBB’s initial assignment to the NMWDA was to assist in the procurement and development of a 2,250 TPD cogeneration plant in the City of Baltimore to serve part of that region. GBB contributed to the vendor procurement and negotiation process which resulted in selection of a vendor to design, construct, and operate the project. GBB’s efforts included researching all large-scale resource recovery facility RFQs and RFPs for background data before preparation of the procurement documents; preparing a risk matrix and a responsibility matrix of the project team for preparation of procurement documents; evaluating vendors’ Qualifications Statements; developing the initial draft of the RFP/Basis of Negotiation (BON) document and drafting contracts for a full-service procurement; reviewing contract documents with NMWDA’s legal counsel; preparing a detailed evaluation of the technical and economical submissions per BON bid forms and requirements; evaluating the specific capital cost components of the proposals and analyzing Baltimore Gas & Electric’s full avoided costs for both company and regional grid interconnection; providing a report on the amounts and types of insurance coverage provided at similar resource recovery projects around the nation; participating in the solicitation and selection of an investment banking team to underwrite and issue bonds for the project; drafting the RFP for a third-party engineer for the bond prospectus and advising in the selection and contracting process; and participating in negotiations with the contractors. A combination of approximately $190 million of resource recovery revenue bonds and $45 million of letters of credit notes for the 2,250 TPD southwest facility went to market in January 1983 and construction began in March 1983. The facility which originally expected to be operating by spring 1986 was significantly ahead of the construction schedule and became fully operational in early 1985.